Fake GPS location spoofer makes you cheat your current location with the location of your choice. Means you can change your location anytime without showing the actual one. To perform this action all you need is a Fake GPS spoofer application. When it comes to hiding location in PC then you have multiple options to do that, like you can simply download some paid or free software which can fake your location or even you can simply change your OS to Linux if you are currently running windows. Linux gives numbers of options to perform such task just by running few commands in terminal and in seconds you will be having the location of your choice. But in mobile devices, especially in Android, you might find difficulty to find such applications but we find out some applications which can actually fake your location. You can use these fake GPS location spoofers for having fun or to prank your friends or let people know the fake location of yours even when you are relaxing at one place. It actually gives you the freedom to change your social status often as traveling somewhere even when you are not switching your room. You can also fake your location in some popular location-based trending games like Pokemon Go. This tool came first when needs to change the GPS location or Add fake location. It is very trusted application and available in play store to download, has over 10million downloads. The good thing about this app that it can fake location in most cases, even in android lower version but as the description of this app says that to get the pure result you need to have android 6.0 or higher version of Android. Using this Fake GPS location spoofer is simple. Just Download and Open it, it will ask to enable your GPS location, if your GPS is already On then it will not ask you for that. It will start showing you a map, just simply search the country, city or area which you wanted to set as your location or simply search the country and set the pin to a specific city area and hit the play button. It will instantly set that location as your current location instead to show your real one. If you want to download the Apk version of this instead of downloading through play store then here is the Fake GPS location spoofer apk. 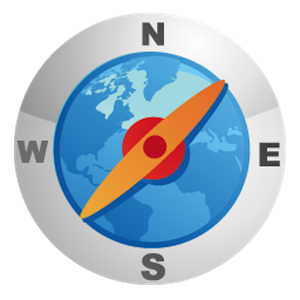 Download Fake GPS Location Spoofer v4.6 apk from here. Similar to Fake GPS GO Location Spoofer free, Fake GPS Location also has over 10million downloads on play store. It assures you to change or teleport your phonr to any place in the world just in few clicks. This app can set your fake location so every other app inside your Android device will believe that you are actually there. This has features for both rooted and non-rooted Android devices. But in common you can atleast simply change your GPS location. And in rooted android device you will get options like you can mock location without even enabling “Allow mock location” option and some other advanced features like that. These two Fake GPS location apps are enough to use for an android device, you can change your location mutiple times and there is no such limit on that, in most cases, both apps will work on your Android device and if not then you probably need to root your device.